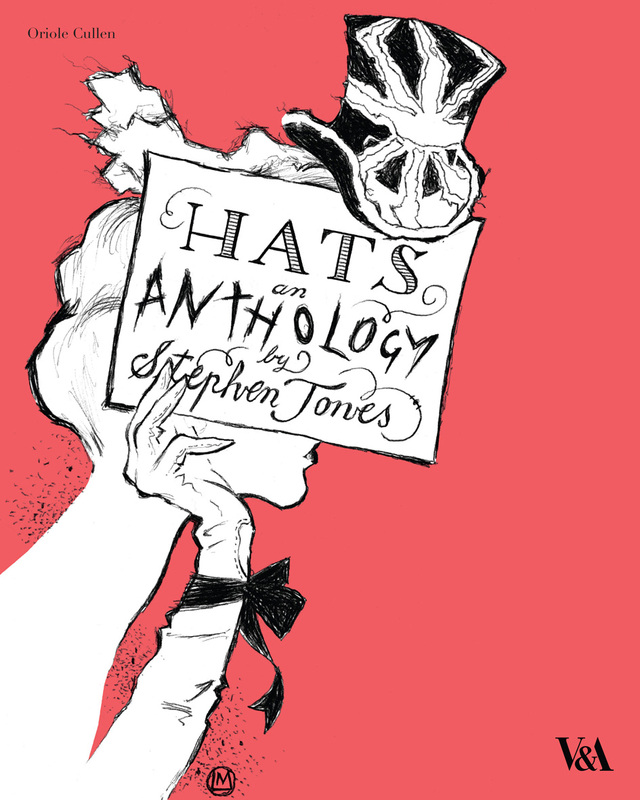 >Hats- an anthology by Stephen Jones. “Wash and go” hat, 1999. Stephen Jones, the master himself. 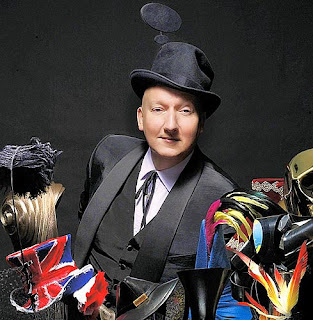 Stephen Jones, I have found to discover, is the only person who can place a shoe atop someones’ head, call it fashion and not be questioned. Hats have always been a love of mine, though admired from afar, as I have never been brave enough to try anything that Stephen Jones would dream up. This book looks over his very interesting life as a milliner, complete with pictures and quotes for the various stages of his life. The section about the types of people who actually buy these hats, (The Client- pg 94) was what I found the most interesting, The work that goes into making the right hat, for the right client, for the right occasion is exhausting. Yet the reward is sweet, according to the book, when the hat the client wears becomes his or her ‘signature look’. 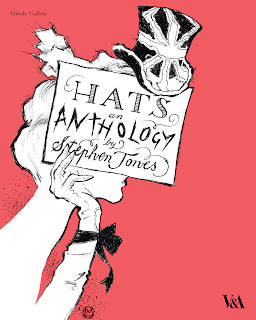 Hats- an anthology by Stephen Jones is an insightful edition to my duo of art gallery books. >I definitely wear hats! There are some people who wouldn't even recognize me without my hat. And I have worn some pretty outrageous ones – the kind the people would say "WHO would EVER wear a hat like THAT!?" I am lucky to have the kind of face that can wear most any hat and look good. I'd love to see your book.